Payday loans are short-term, unsecured loans that are available in brick-and-mortar locations and now online. Even with legislation intended to mitigate the devastating effects of predatory lending practices, payday lenders are still thriving. In fact, in 2012 the Community Financial Services Association of America reported that there were more payday lending storefronts in the United States than there were McDonald’s restaurants. These establishments are fittingly coined “predatory,” because they tend to operate in low-income areas where most residents do not qualify for mainstream loans. Despite their prevalence, payday lending has been outlawed altogether or prevented via state laws in 13 states. 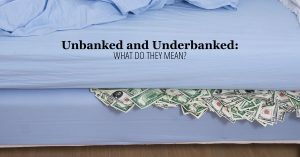 Why have the sources of predatory lending practices remained so popular? When people find themselves strapped for cash, payday lenders can appear to be a quick solution to the problem. Borrowers can go into a store, get approved for a loan within minutes and then have the money appear in their bank accounts via direct deposit within 24 hours. However, while this may be a quick fix to the immediate issue, it is only aggravating a much bigger, long term problem. 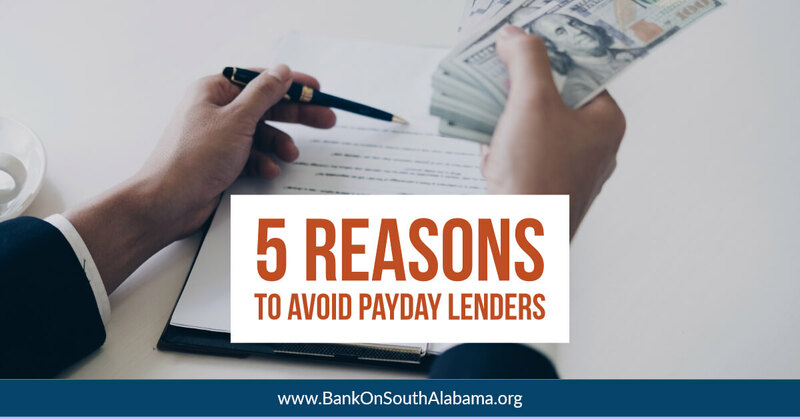 If the fact that they are illegal or prevented in 13 states isn’t enough to dissuade you to avoid payday lenders, here are five more reasons. They have high interest rates. Payday loans typically cost 400% annual interest or more! This means that you will end up paying excessive amounts just on the interest alone. For comparison, the average credit card interest rate is just more than 14.5%, and the highest APR allowed for credit cards is 29.99%. They come with hidden fees. For every $100 borrowed, a lender can assess a $17.50 charge with a cap of $300. Collection practices can be severe. Many payday loan companies require access to your bank account and will take the money you owe them out of it directly. Other companies threaten prosecution or to garnish wages, which is typically an illegal collection practice. You’ll probably pay more than you borrowed. You will likely end up paying three, four or even 10 times the amount you originally borrowed, which leads to debt. One small payday loan can turn into a lifetime of debt. It’s easy to get stuck in a cycle. 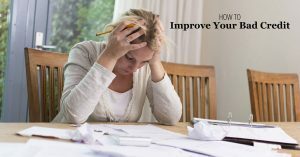 Because payday loans are associated with high fees and short repayment periods, people often find themselves going farther into debt by renewing the loan or taking out additional loans to repay the current one. 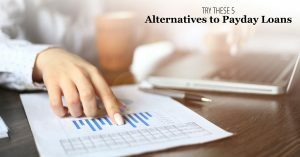 Instead of potentially getting stuck in a devastating cycle of debt, there are alternatives to payday loans that you should consider that we will discuss in next week’s blog. Overall, the best thing you can do to avoid being in a financial situation that prompts you to turn to a payday lender is to make a budget and decrease your expenses where you can. If you or someone you know is not currently using the services of a bank or credit union, you or that person may be eligible to open a low-to-no-cost checking or savings account with one of our financial partners. Visit www.bankonsouthalabama.org to learn more.